ok... are you going to talk about this at all? OH!!! I get it, its a guess who game!!!! 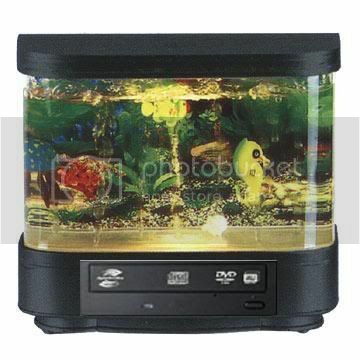 Im guessing, a fake fish tank that is ACTUALLY a dvd player!!!!!! That idea leaves no room for anything other than the DVD player and 2.5&#34; harddrive, if it actually has fish in it, or water. http://www.modders-inc.com/modules.php?name=Forums&file=viewtopic&t=3473 for something a little more detailed.